Preparing fans for what’s to come! 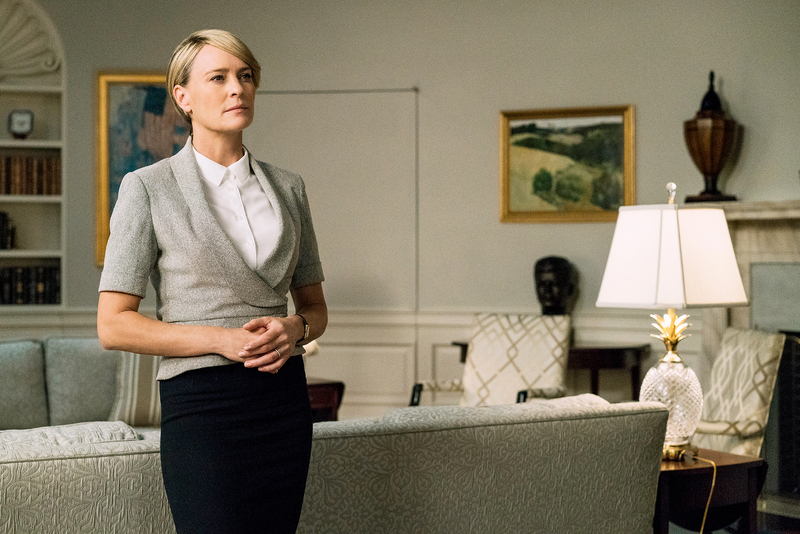 House of Cards’ new head of the Oval Office — Claire Underwood — had a very special 4th of July message for viewers. The teaser comes just five months after the political drama resumed production following a sexual misconduct scandal surrounding former star Kevin Spacey, which led to his firing. The online streaming service cut ties with Spacey in November after allegations were made against the 58-year-old actor and filming was briefly suspended. Diane Lane and Greg Kinnear are set to join the cast with Jayne Atkinson (Catherine), Michael Kelly (Doug), Boris McGiver (Tom), Derek Cecil (Seth), Patricia Clarkson (Jane), Constance Zimmer (Janine) and Campbell Scott (Mark). Wright, 52, celebrated the last day of filming in a photo posted to Instagram in late May that showed her hands covered in blood.